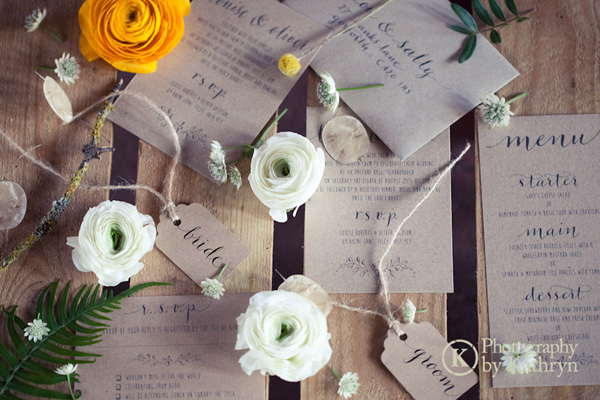 Around about the time shabby chic became a thing and weddings all began to look vintage, an innovative eco-warrior invented kraft card and introduced it to all the brides and grooms in the world. And we all fell in love. 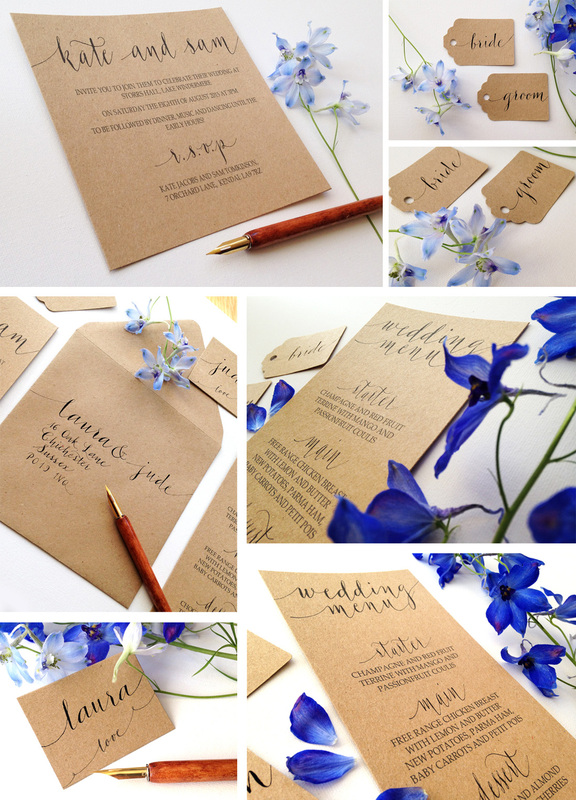 My kraft card wedding invites have been a big seller for almost 5 years. 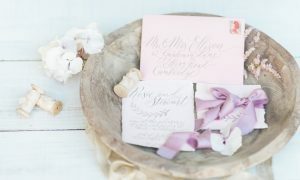 They’re printed or handwritten on recycled card and are really affordable. 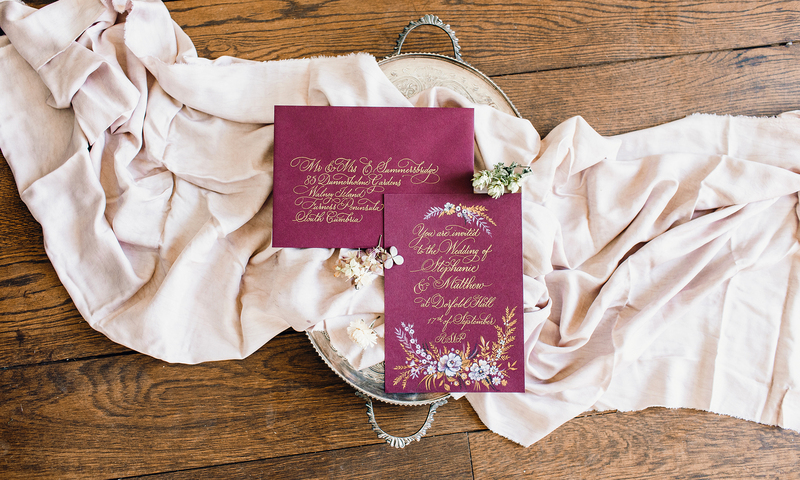 They’re perfectly suited to a barn wedding or a festival-style celebration – they work equally beautifully in a country house or garden marquee. 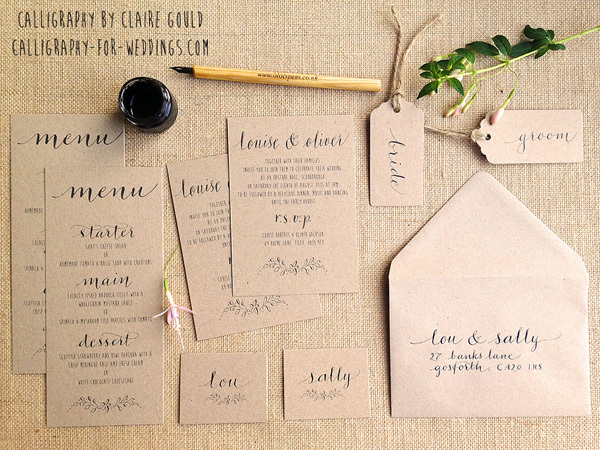 My kraft wedding invites come in various designs, all with handwritten place cards, seating plan cards, menus and other on the day stationery available. 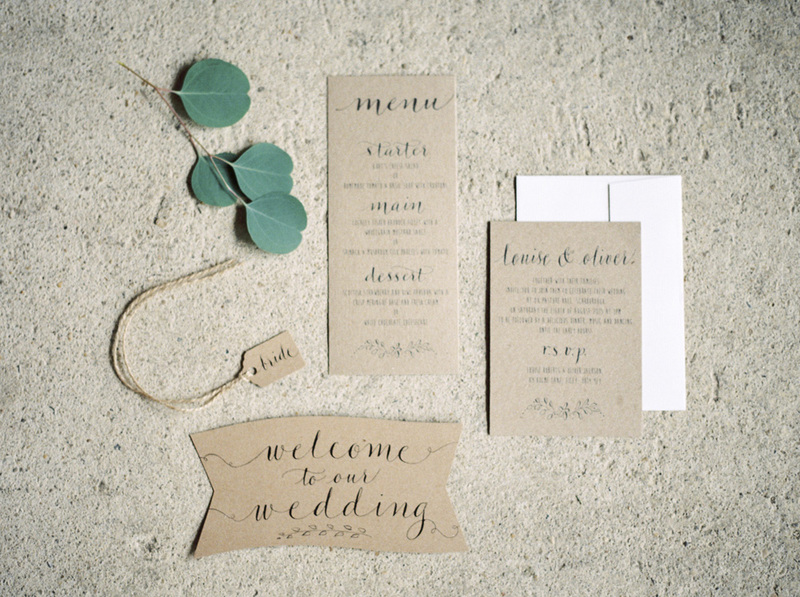 Browse the images below for different ideas and colour palettes to work with the kraft card – there are so many options with this really versatile, natural colour. 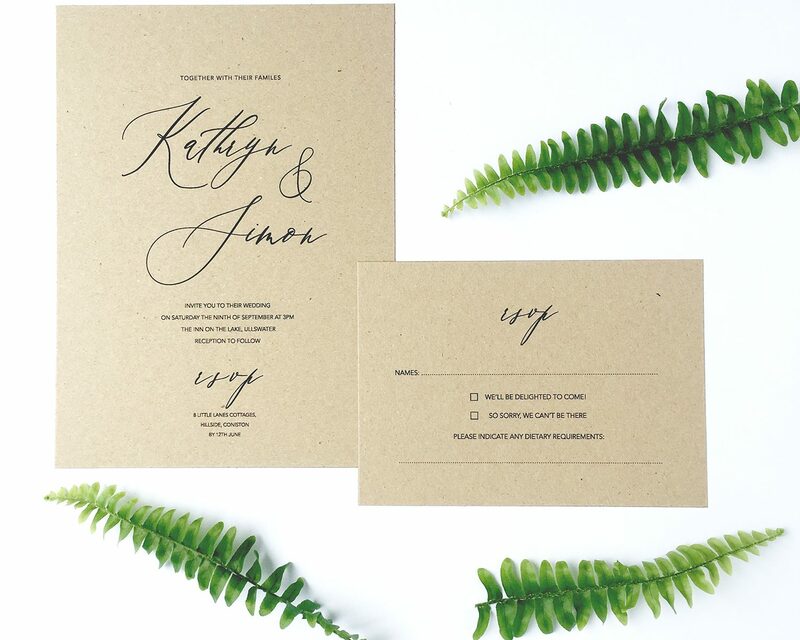 I’m looking to add new designs to the kraft & calligraphy collection, so if you have a particular idea in mind for an illustration or theme, get in touch and we can chat about a bespoke design. Next PostNext Modern calligraphy – what’s next when you’ve learned all the letters?